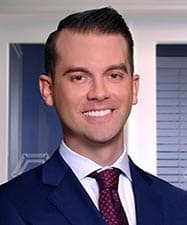 11-year UBS veteran Brett Oley knew that he eventually wanted to be an independent financial advisor and planned to move within the next 10 years of his career. But he did what many would consider unthinkable: At age 35, with a new baby at home and $90mm in AUM, he started his own practice with independent broker dealer Raymond James Financial Services. 16 months later, Brett and his partner, Ryan Kinser (who joined him in May of 2018) are thrilled to be business owners and excited for what the future holds for them. Today Oley Kinser Concierge Wealth has grown to $125mm in AUM and is continuing their upward trajectory. While making the leap was scary, for Brett the prospect of staying with in a firm that no longer best served his business and clients was even scarier. In the words of Charles Darwin, “It’s not the strongest or the most intelligent who will survive, but those who can best manage change.” And Brett and Ryan’s willingness to change is leading them to great success.